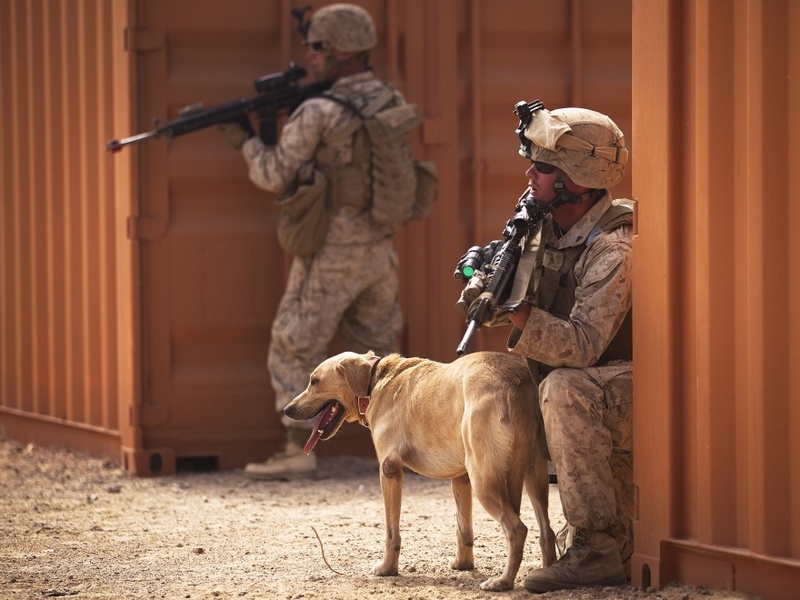 Dogs have been officially serving as soldiers in the United States military since World War I. 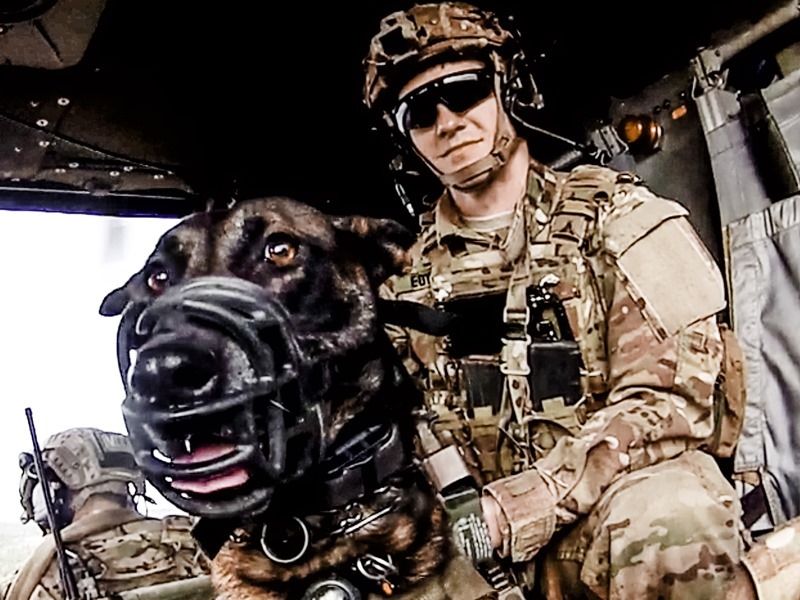 Known as (MWDs) or military working dogs they are trained for a variety of highly specialized tasks and actively contribute to U.S. combat operations. 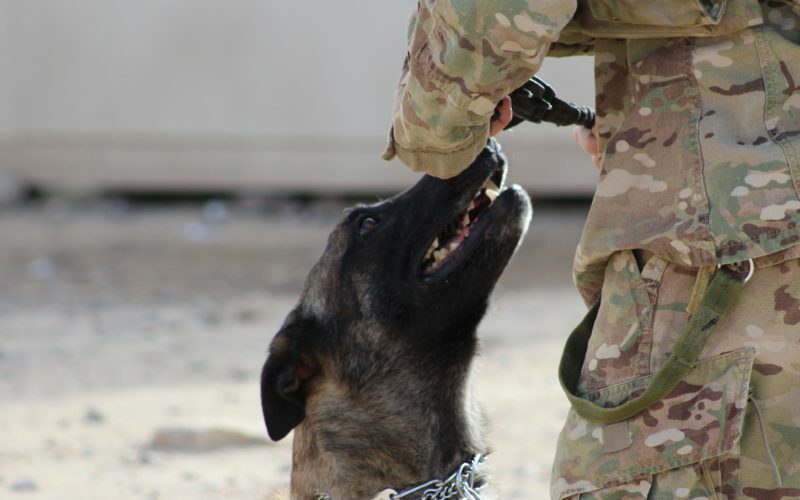 There are about 2,500 war dogs in service today, with about 700 serving at any given time overseas Military working dogs are versatile, highly mobile and have been proven to save the lives of US soldiers in combat. Our podcast episodes are designed to be heard and not read. As such, we do not provide transcripts for our episodes. However, we enjoy sharing “extra content” to supplement the stories we follow and the intriguing dogs and people they are about. This episode gives us some insight into the role of the military working dog handler and what makes a great one. U.S. Marine Corps Lance Cpls. 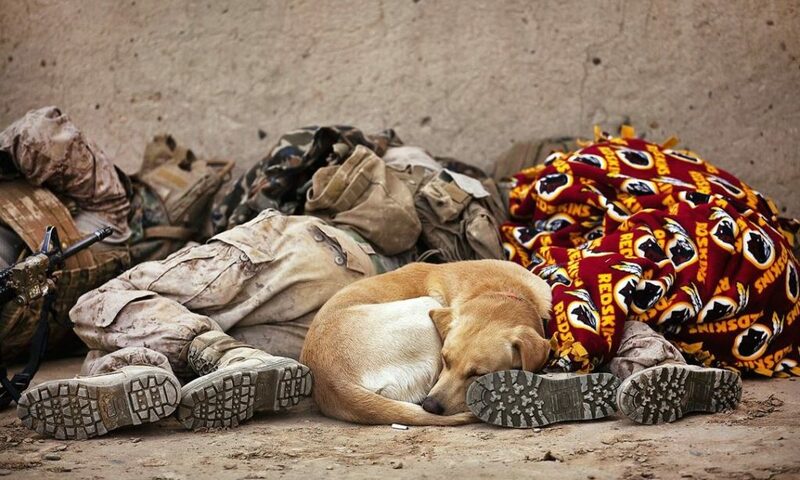 Matthew Scofield, left, and Jarrett Hatley, right, rest next to Hatley's military working dog, Blue, after clearing compounds with Afghan soldiers during Operation Tageer Shamal in Afghanistan's Helmand province, Jan. 4, 2012. Scofield, a squad automatic weapon gunner, and Hatley, a dog handler, are assigned to Lima Company, 3rd Battalion, 3rd Marine Regiment. This episode puts you right in the middle of the action with Military Working Dog Handlers with the US Army and US Marine Corps. It also explores what makes a great dog handler. Jarrett Hatley and K9 "Blue"
A Special Thanks to Justin Edwards and Jarrett Hatley for sharing his stories. 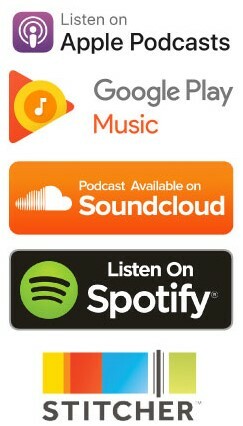 We also want to thank our episode sponsors. Be sure to visit them to learn more and show them your support.